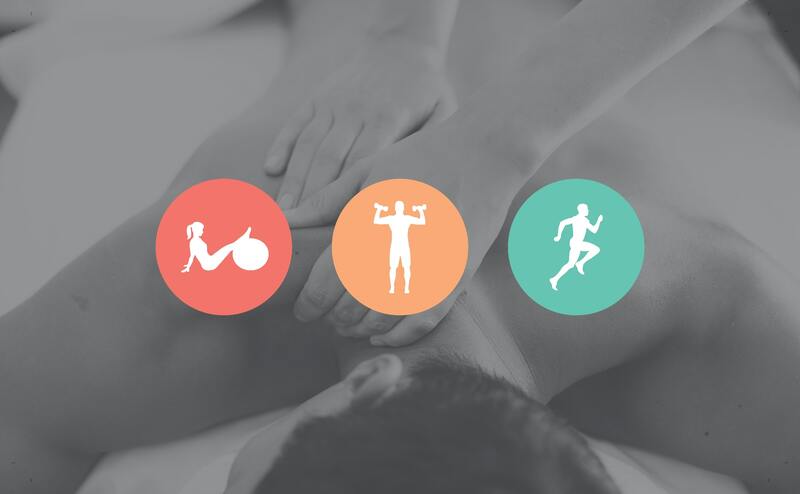 Myotherapy South Yarra, remedial massage, deep tissue massage, sports massage Toorak and mindset coaching can help maintain balance in your body and life. Discuss with us how we can help you enhance your physical and mental performance or fast track your road to recovery after injury and maintain a healthy body and mind. Discover the benefits of massage at our Toorak Clinic today. If you’re feeling tired, stressed, and worn out? You’re not alone. Whilst modern technology has done wonders for our levels of convenience and communication and the world has indeed gotten smaller, the same cannot be said for technology improving our overall health. Being glued to our smart devices, computers and working longer hours can take its toll on our physical and mental health. As many of us spend long days slouched in front of a computer, our body’s muscular system, fascia and internal connective tissues can become rigid, feel tight and almost ‘fixed’ in a position that limits our range of movement and flexibility. This can lead to tightness, muscular soreness, discomfort, fatigue and in extreme cases, ongoing pain the lead to compensations and inevitably biomechanical dysfunction. If we leave these dysfunctions untreated, these ailments can compound and make certain movements uncomfortable, restrictive or even painful over time. Poor lifestyle choices lead to dependencies on medication, alcohol and other vices to ‘cope’ with our lifestyles. We treat individuals of all ages and all walks of life. Since everyone’s needs are different and specific to their lifestyle, we look at what’s causing the dysfunction and discomfort and address any pain directly, providing strategies that are useful to the treatment of their unique problems. Combined with good sleeping habits, a healthy diet and regular exercise, and ‘taking care’ of your body on a physical level is critical to an overall sense of well-being. Myotherapy, remedial massage, sports massage support good lifestyle choices and keep you performing at your best physically and mentally. The techniques we use ‘reset’ your body’s natural equilibrium. Myotherapy, remedial massage and deep tissue massage and are all proven techniques designed to treat these lifestyle problems that invariably creep into to our bodies on a daily basis. We also offer mindset coaching and emotional release therapy to benefit your overall health and wellbeing. Recalibrating you mindset through transformational techniques are fantastic ways to help improve overall health if they are administered properly and with a considered outcome in mind. Our initial consultation allows us to determine what daily habits are contributing to your levels of discomfort and develop treatments to address the complaints, strengthen any weaknesses and restore range of movement. Each treatment is individually tailored to the unique person’s needs and desired outcome. mindset coaching can guide you with new perspectives to overcome limiting beliefs and emotional blockages. Our results are based on understanding what your desired outcome is and tailoring a treatment plan to align with those outcomes. Our Toorak clinic services clients from nearby suburbs of Armadale, Malvern, South Yarra, Richmond and Prahran, however clients travel from near and far to achieve results and their desired outcomes. Book an appointment, or contact us today (03) 9827 7515 to discuss the best way to assist you around your lifestyle. We offer the best myotherapy and remedial massage South Yarra, Toorak, Prahran and massage Armadale has to offer and we’re sure you’ll agree. So many people see massage as a luxury. . Your health is an investment . Investing in your mind and body is the best investment you can make. . Experiences and knowledge cant be taken away from you. Now is the time to service your body and mind, we only get one for life, value it, love it and treat it like a temple. .
Do you invest in your mind and body? . So many people see massage as a luxury. Investing in your mind and body is the best investment you can make. Experiences and knowledge cant be taken away from you. Now is the time to service your body and mind, we only get one for life, value it, love it and treat it like a temple. Do you invest in your mind and body? WOW what a BIG week ... Shelley, Fred, Susan and I totally rocked out. We all Love making a difference in peoples lives. So grateful. Self-care is how you take your power back. we matter. work hard, train hard and I give it my all. The most important thing is to maintain a good physical body, mind, eat well, put yourself first on your to do list and stay focused on the end goal. As a Myotherapist and transformal coach I have been able to look after my own body and mind, lead by example, make mistakes, love what You do and live what You say. We all get broken at times lol and often find myself going to bed with TENS machine attached. I can't afford to have my physical body break down. One advantage of know and understanding my bodies needs. I have a team of professionals who support my body and mind. Myotherapist, Remedial Massage, chiropractor, Osteo, Naturopath, Personal Training, Transformational & Business Coach. Reach out if we can help you move your pain, shift your thinking, release emotional reactions in your body and achieve your goals..
Now is the time to do something new. If what your doing isn't working or doesn't make you feel good do something different. Life is what you make it! It’s your day, make it a great one. 🌟 shine ☀️.